I have celebrated Christmas all my life. I never thought of it as an exclusively “white” holiday. Now that I know the virtues of Kwanzaa, I cannot think of it as an exclusively “Black” holiday. Although it is true that “Santa” has taken the Christ out of Christmas, there is no denying that that siren pull of snow and fir trees with a jolly white man dressed in Coca-Cola’s colors can be overwhelming. The advertising, industrialist, corporate gelt has forced me into submission, I feel compelled to celebrate it. Kwanzaa, on the other hand, has the least hypocrisy of the celebrations, the most authenticity and clearly, the kindest, more cerebral take on the “holiday” season. It is hopeless to try and convince people how deceiving, manipulated and forced our Christmases have become. Millions of poor people getting into debt to buy junk from Wal-Marts makes no sense at all, yet…we all do it. We do it because we want our children to love us, we do it because we want to show our spouses, mates, etc., how much we love them. With stakes like that, no wonder Christmas is fraught with disappointment. 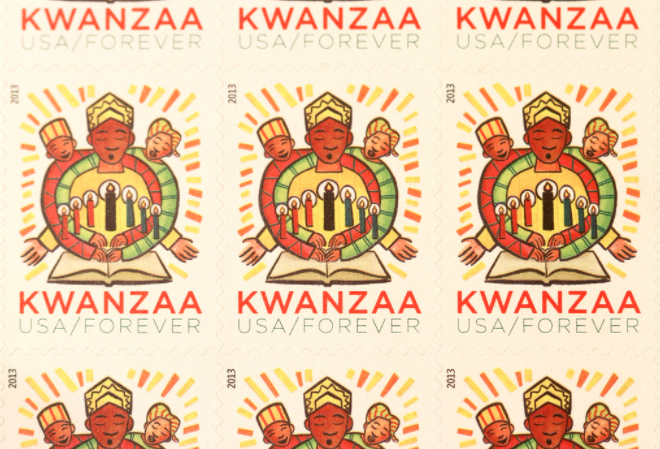 Kwanzaa is also man-made and manipulated, but not commercial. The only bad thing about Kwanzaa is that everybody, all races, ethnic groups, etc., do not celebrate it. Although Kwanzaa has been around for only a little over 50 years, who knows, maybe after 100 years or so everybody will be wearing dashikis and giving gifts made from home with love. I wonder if Dr. Maulana Karenga, the creator, will still be remembered. Then again, it could go the other way with a large corporation co-opting the entire concept and selling gifts made from disenfranchised workers in China. Who knows? “Matunda ya Kwanzaa” means “First Fruits” in Swahili; not a language with which many of us identify. Like Chanukah and Ramadan, it is one of those multiple-day celebrations with candles, cultural events and intellectual discussions; not a lot of Xbox playing going on here. For seven nights, a child lights a candle on the kinara. I don’t know what you do if you are a nuclear or blended family with no kids around… a problem much like the St. Lucia Festival in Sweden in which a virgin leads the procession. Finding a virgin is far more difficult than finding a child. Each night one of the seven principles, “Nguzo Saba”, is discussed after dinner. It begins the day after Christmas and ends just before New Year’s Eve. So, in an effort not to look strange or to pacify your family, you can still do the corporate/industrial complex celebration along with the spiritual one. Unity: Umoja (oo–MO–jah), Family unity, or as my Aunt Minnie used to say: “Keep the family business inside the family.” Since Vegas made a fortune saying the same thing, it’s gotta be an offer you can’t refuse. Self-determination: Kujichagulia (koo–gee–cha–goo–LEE–yah), Self-determination evolves into self-definition, which is a terrific tool in a family powwow. Grown-ups and kids alike get to talk about themselves and their thoughts without judgment. Collective Work and Responsibility: Ujima (oo–GEE–mah), this is a great one. The idea of prayer through action, of helping not just yourself but also the community as a part of your obligation to yourself is magnificent. Part of the Ten Commandments is to “do unto others as you would have them do unto you”. Well, this principle is not just talking about it, it is doing it. It is cleaning out that vacant lot, it is having a neighborhood watch by neighbors who can help the suburban police who may not be aware of the many layers of a neighborhood; to look at neighborhood problems as group problems. Cooperative Economics: Ujamaa (oo–JAH–mah) or (oo-jah-MAH), keeping the dollar in “the hood” is the path to self-determination. Having neighbors own the stores where we shop, the restaurants where we eat keeps the dollar revolving around and around. To be able to walk to work to a business which is owned by your neighbor and possibly by you as well is a joy, not exploitation. Purpose: Nia (nee–YAH), football players know this…we are only as strong as our weakest link. The more purpose we have, the more developed our community is, the stronger we are as a force. We have been trampled upon. The government has conspired to make us weak, we must not yield to victimization. We are one strong, united community with one purpose: to achieve and do positive things. Creativity: Kuumba (koo–OOM–bah), “Never give up on making this world a better place,” said Frances E. Burnett. And that is what creativity is all about. It is about doing as much as you can to leave our community “more better” than it was before us. This is a hard one. Since time began, we have not been able to trust one another. It is key to know, deep within ourselves, that we will be successful in our attempts to make change. If one harbors even the slightest doubt, depression and self-loathing can slip in and ruin everything. There are also seven principles which are a set of ideals created by Dr. Karenga with a different principle for each day; each founded on warm, honest and authentic feelings based on unity, humanity and all the governing principles of being a good person. For more information on the seven principles read Jessica Harris’ book: “Kwanzaa Keepsake”. Most importantly, the principles do not involve commercialism with the exception of a few candles, mats and homemade articles. They do not involve deficit-spending, which is what Christmas is all about to the “pros”. The pros being those who benefit financially from the overspending of the naïve consumers. We “pigeons” are the slaves of the mercantilism of the holiday. Deficit-spending is the name of the game. If the government can spend “in excess of revenue of funds” raised by borrowing rather than from taxation (which would lose them votes), then it is no wonder that people spend borrowed cash in excess of their salaries, forcing them to borrow from the man at a 20+% vig., in addition to getting a couple of part-time jobs which keeps them away from the very loved ones they are trying to indulge. Kwanzaa is more about family than finance. Why not give Kwanzaa a shot? It’s all about harvesting and giving, you can’t go wrong. Celebrating Kwanzaa doesn’t mean that you don’t celebrate Christmas or New Year’s Eve. It could mean that you make some adjustments to how you celebrate and to how you give. Why not buy a bunch of toys from the 99cent store and distribute each to the first kids you see on a street of your designation? Or buy masses of mittens and warm hats and give them away. Or adopt a building….doesn’t matter if it has gentrified, everybody loves a gift and those who “have” enjoy receiving just as much as those who “have not”. Or adopt a family, find out what they need and give it to them, anonymously if you like. These kids are going to want electronic toys, give it to them. These kids think they need it, yours do not. Or gather your old warm clothes and display them outside with a sign saying “FREE”. 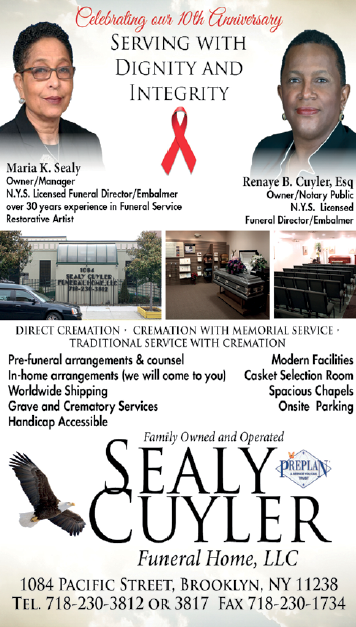 For your own family, next week’s will continue with some things you might want to do during the holidays.